8,499 EMI starts from Rs 2,890 ? 11,499 EMI starts from Rs 3,910 ? During the peak hours, especially during the evenings, the demand for electricity is so high that to cater to the needs of every individual is almost next to impossible. Looking at this grave issue, some companies like Luminous have emerged with their power back up solutions. 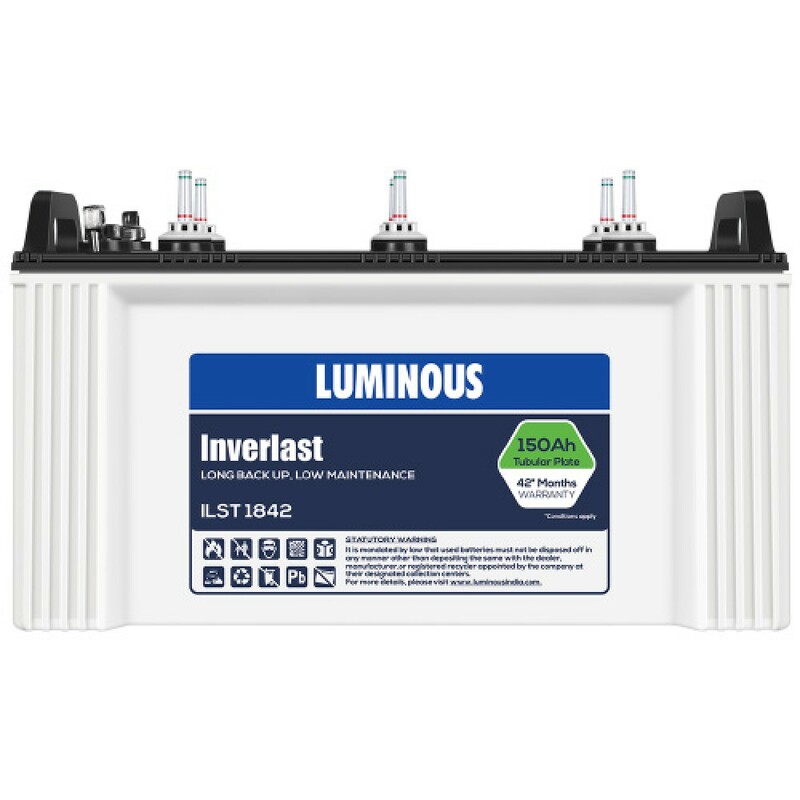 Buy LUMINOUS ILST1842 inverter battery online from www.moxikart.com and gat additional benefits along with every single purchase. These short tubular batteries of the Inverlast range has a deep cycle design. The abuse resistant batteries requires minimal maintenance and have electrolyte level indicator. These UPS batteries recharges quite fast and are ideal for the areas that face frequent and elongated power failures. Thicker positive plates have been used to design these batteries that has 20% more electrolyte to stand firmly against any power outrage. Has extreme high purity, corrosion resistant proprietary spine alloy composition to ensure longevity of the battery.